Rocket your way down the snow covered hills with a friend aboard the Power Glider Snow Sled. Constructed from 18 gauge durable cold-crack resistant PVC vinyl with electronically welded seams for durability. This 2-passanger sled features an advanced bottom design that offers better performance and control in all kinds of snow. The four large moulded handles provide a great grip for an enhanced sledding experience. Designed to withstand long days of snow time fun! 90-day limited warranty. Designed as a 2-passenger ride - weight capacity 330-lbs. The Alpine Racer #44 is a high quality downhill sled, built to withstand rugged hillside adventures. Ideal for lightly covered snowy surfaces. Use your legs to make it turn, and enjoy a wonderful winter outdoors! The Frontier XL Sleigh by Streamridge<sup></sup> is the perfect way to enjoy the outdoors with toddlers and their older siblings. Handcrafted from Ontario ash hardwood and assembled with strong screws to last you many yearsand be passed down to your grandchildren (and great-grandchildren). The Frontier XL Sleigh features metal wear bars under the wooden runners to prolong the life of your sleigh and make it easy to pull through the snow. The high-quality, braided pull rope is soft on your hands. The ideal children's toboggan! Constructed using Ontario Ash Hardwood. The 1.5" thick pad made with plaid waterproof polyester fabric adds a rustic colour and provides a smooth, comfortable ride. Quality and traditional style is achieved with steam bent technique. The intermediate sized toboggan! Constructed using Ontario Ash Hardwood. The 1.5" thick pad made with plaid waterproof polyester fabric adds a rustic colour and provides a smooth, comfortable ride. Quality and traditional style is achieved with steam bent technique. Power Glider 57-inch 2-Person Inflatable Snow Sled Rocket your way down the snow covered hills with a friend aboard the Power Glider Snow Sled. 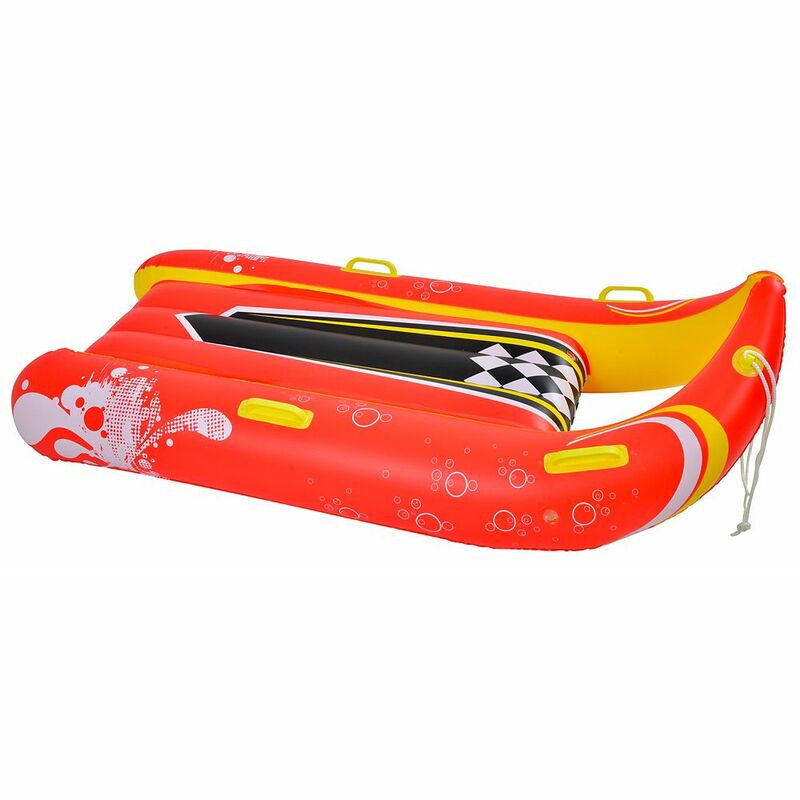 Constructed from 18 gauge durable cold-crack resistant PVC vinyl with electronically welded seams for durability. This 2-passanger sled features an advanced bottom design that offers better performance and control in all kinds of snow. The four large moulded handles provide a great grip for an enhanced sledding experience. Designed to withstand long days of snow time fun! 90-day limited warranty. Designed as a 2-passenger ride - weight capacity 330-lbs.